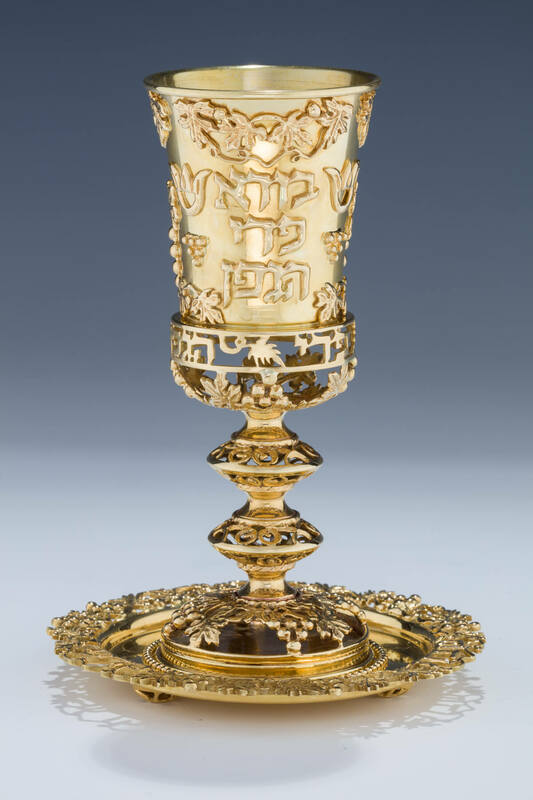 AN 18K GOLD KIDDUSH GOBLET AND UNDERPLATE BY ISAAC COHEN. Israel, Modern. Richy decorated with applied grapes and grapevine motif. Further decorated with excerpts from Hebrew blessings. 19 troy ounces.